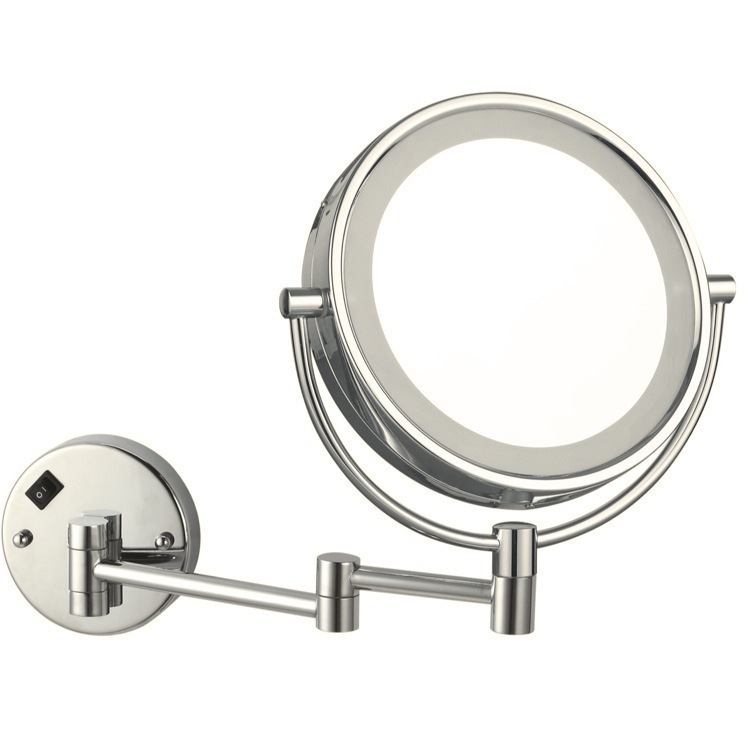 A double-faced and wall mounted makeup mirror, this model has a mirror face dimensions of 8" round. 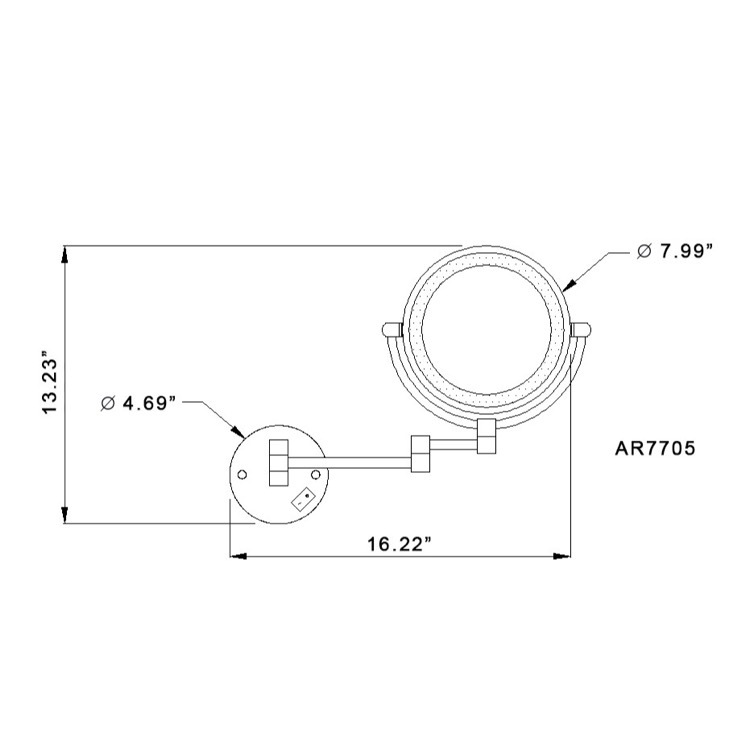 Its stylish round shape comes with 3x magnification and built in LED lights. Along with that, it can be ordered with two finishing options, either chrome or satin nickel. The double arm design and built in on/off switch in the base makes it a functional and stylish addition to your bathroom.